Most things I buy to resell are fairly straightforward. 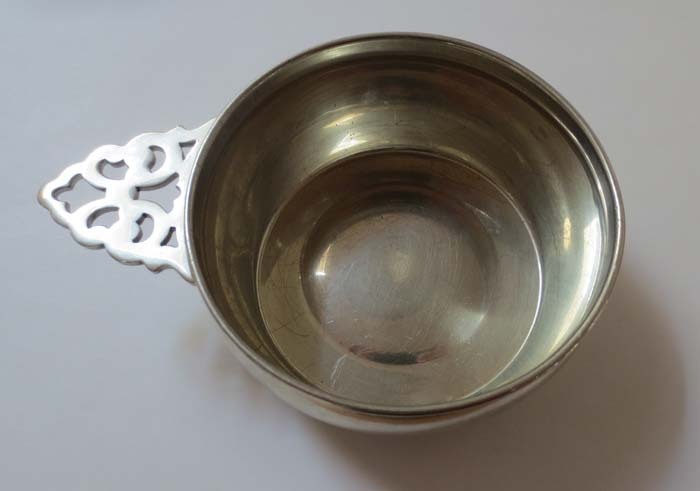 Sometimes I have to figure out the maker and date for a piece of old English sterling silver or decipher the artist for a picture or piece of pottery, but it’s usually quick work thanks to the internet. But in the past few days I bought three very different items that are stumping me…and it’s driving me a little nuts! 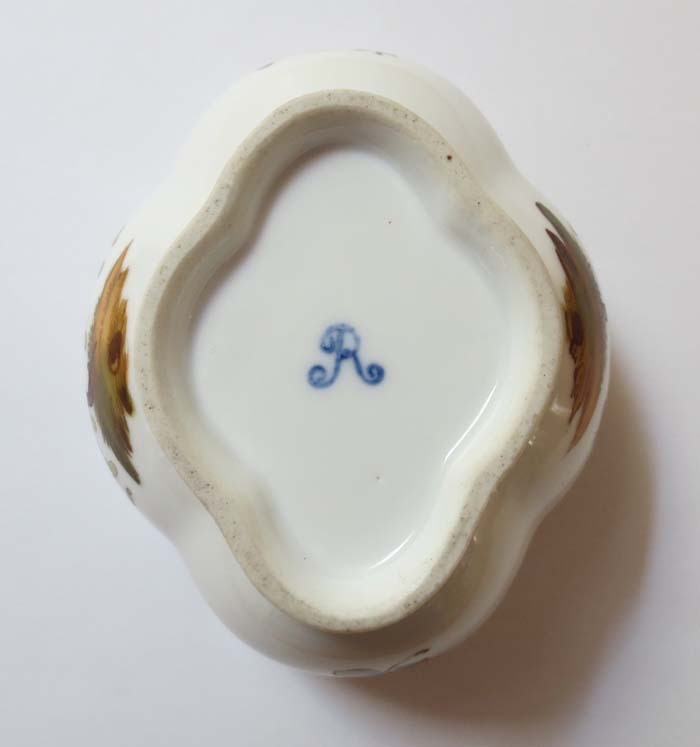 Here’s Mystery #1: a little china dish I bought at a yard sale. 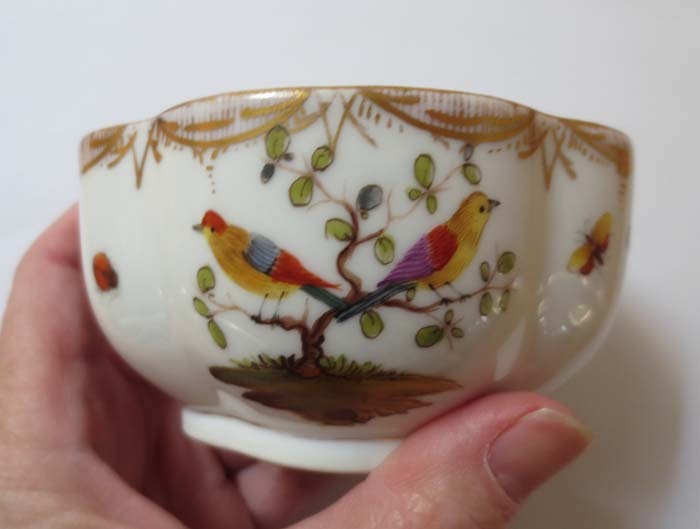 I know nothing about china or porcelain but my instinct told me it had a bit of age and I thought it was charming. And it was marked on the bottom. 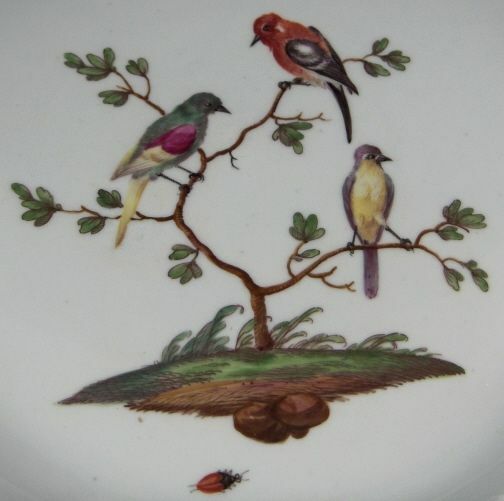 I figured it would be easy to figure out the maker and pattern for this piece, but after an hour of googling, using a variety of search parameters, I’m still no closer to figuring out who made it and how old it is, though it is reminiscent of this 18th century Ludwigsburg piece (below) and some of the old Herend Rothschild pieces…but no matches. 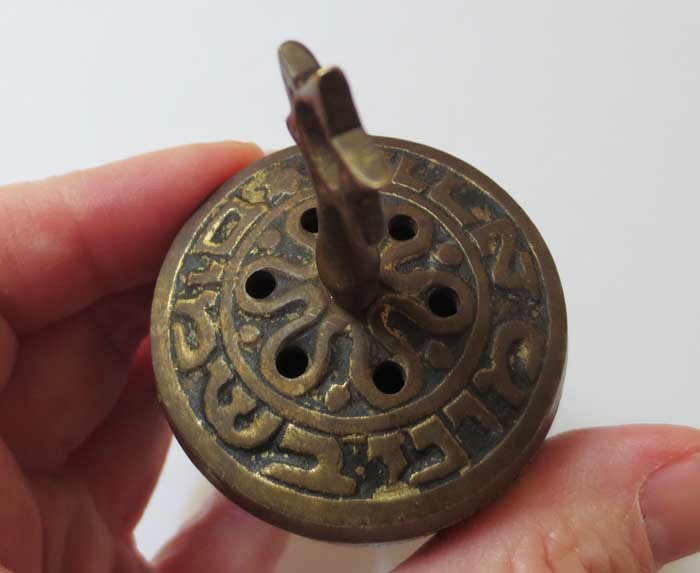 Mystery #2: what I think is a very old brass Jewish dreidel or top. I found this at Goodwill and was enchanted at first sight. It has a nice heft in the hand. 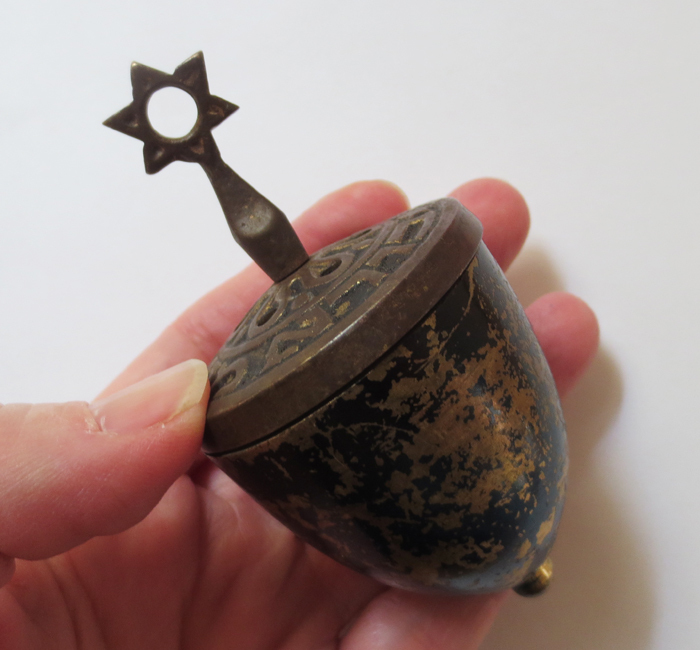 So far, I haven’t been able to find anything online even remotely resembling this piece. Hmmm….and what does this say? That might help…anyone know Hebrew?? And mystery #3 shouldn’t even be a mystery. It seemed so absolutely, positively straightforward. 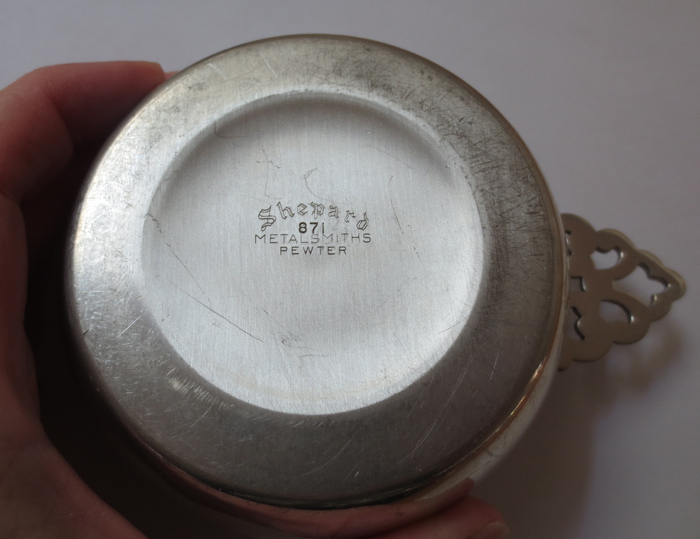 It’s a pewter porringer from Shepard Metalsmiths…probably made in the last half of the 20th century. Just a nice, solid, handsome piece of pewter. But why, for goodness sake, is there NO information for this company. No items for sale from this company. Nothing. Zip. Zilch. Nada. Not on eBay. Not in Worthpoint. Nothing. How do I price this? Feel like I must be missing something!! Well, I’ll keep looking for information on all of them. 🙂 How about you, have any mystery items?? We had that last one growing up. IDK where it is now. I have a lot of mystery items, things we get out of box lots at auctions. I set them aside and go back to them but most of them still sit. Very frustrating!